Spacious, beautiful, light-filled, home on The Hill, renovated with new kitchen & baths, roof, windows, and more. 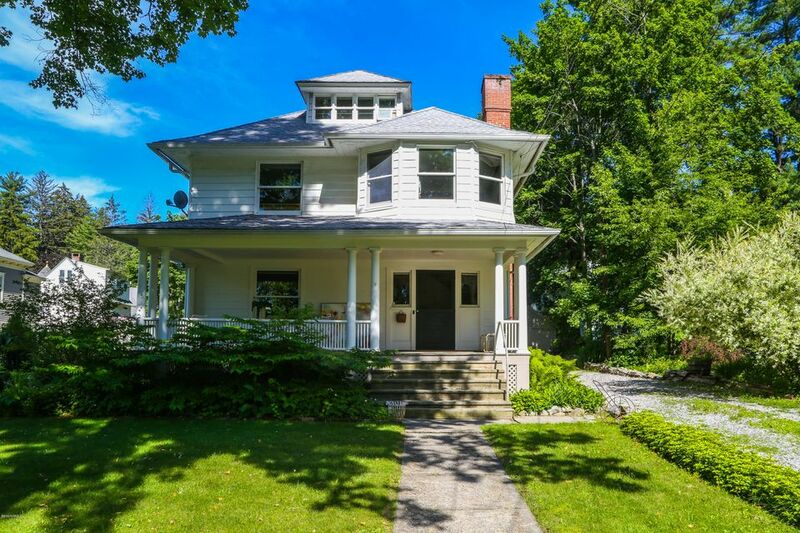 This classic American Foursquare offers expansive double parlors, a dining room with bay window, stylish country kitchen, updated baths, and front and back staircases. The three-room, second-floor master suite incorporates a fireplace and dressing room with laundry. As extra space for creative work, a hang-out room, and/or storage, you'll love its large, finished two-room attic! Outside, there's a classic front porch for relaxing, plus a yard with lovely gardens. An easy walk to restaurants, shops, movies, Fairview Hospital, and other amenities in the ''best small town in America.'' Please see Documents section for floor plans and list of updates made by the seller.